NYFW was a big, fast blur. There was so much to absorb–in and out of the runway. That's why having the great Vogue online, and always at hand is so, so helpful. All the info in just one place? Sign me in! This season I was inspired by Phil Oh's mad skills behind the lens. 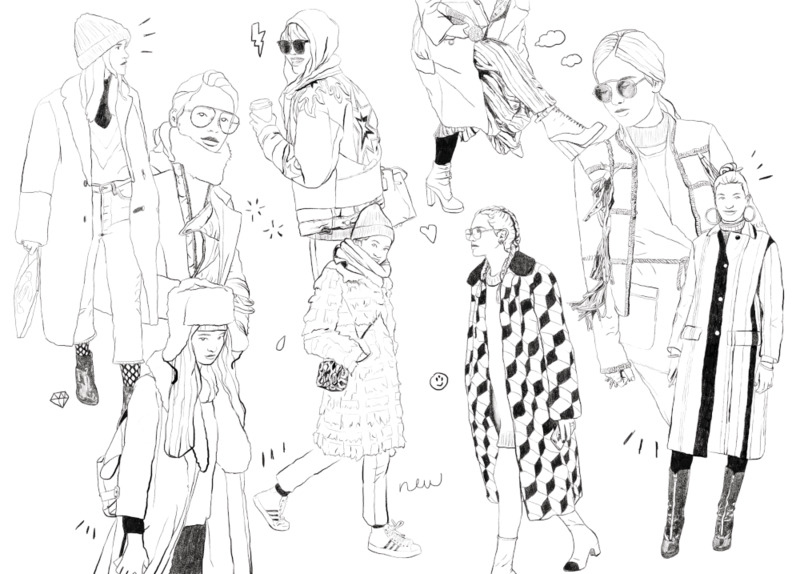 Based on some of his street style snaps for Vogue I created the above illustration, which you can download here, minus the coloring–aka you can do with it whatever tickles your fancy! Have some fun coloring inside (or outside) the lines. Pimp it, hang it, use it as your screensaver (but don't sell it! )–then share your creations with me, pretty please? What was your favorite NYFW moment? Leave a comment below!